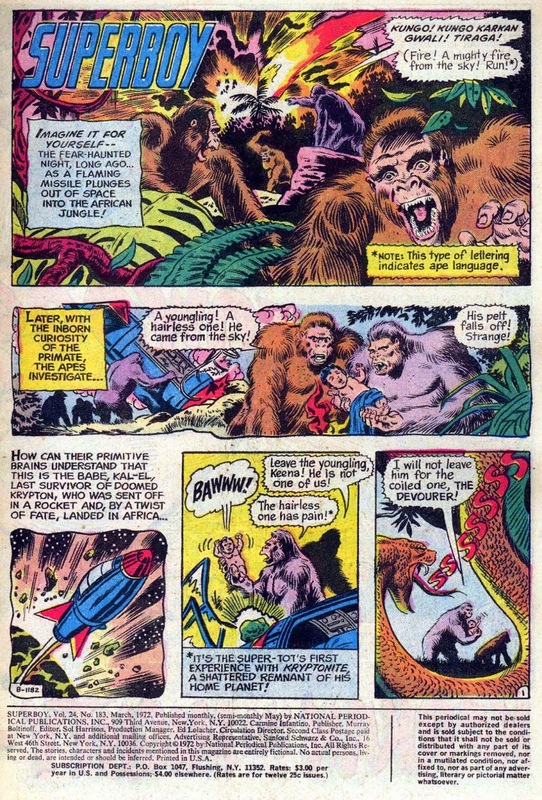 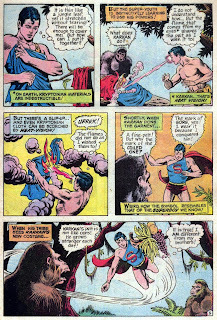 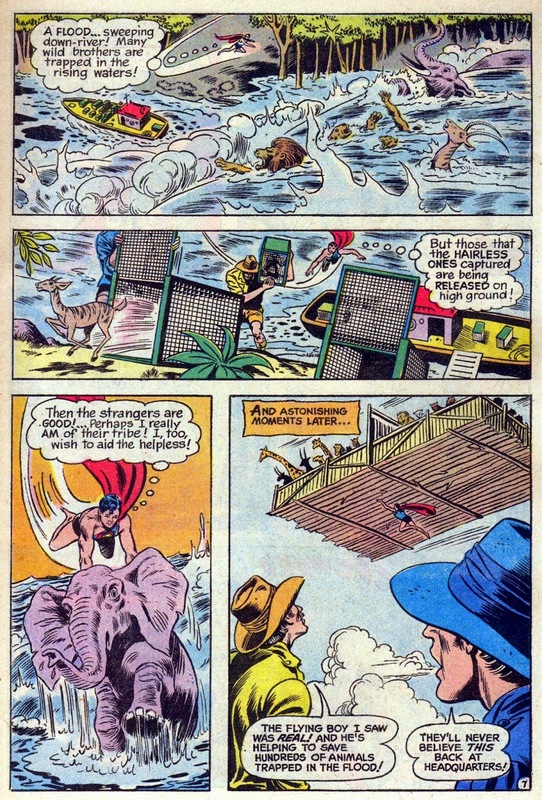 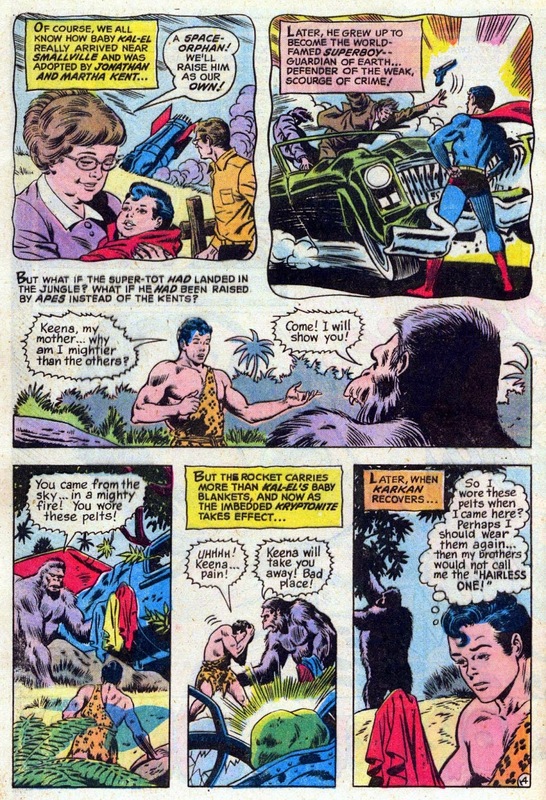 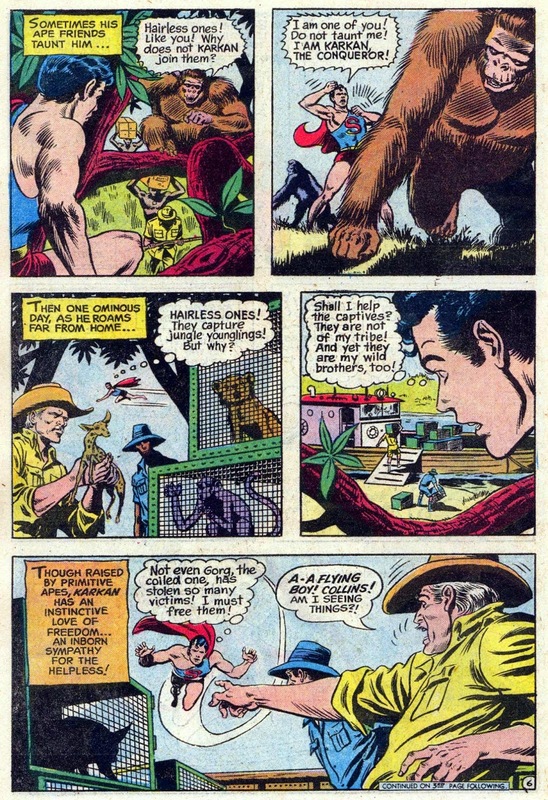 Have you ever wondered what would've happened if baby Kal-El hadn't been found by the Kents, but instead been raised by apes in the jungle, just like Tarzan? 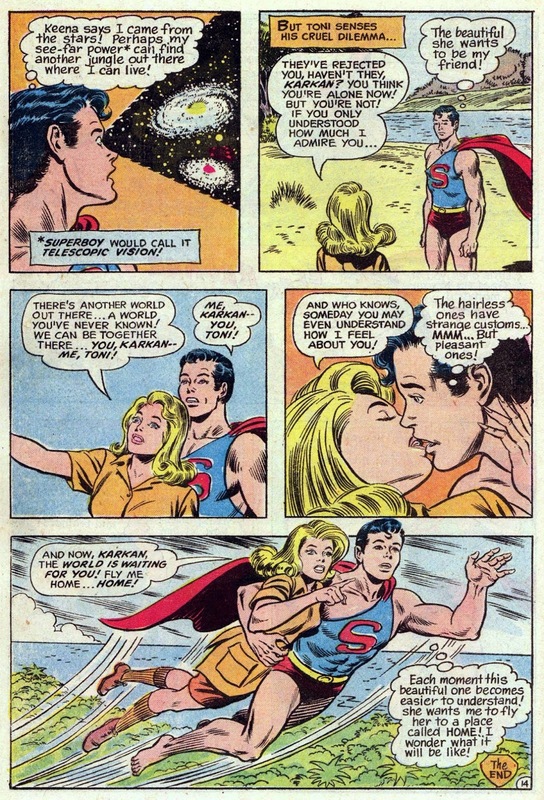 Of course you haven't. 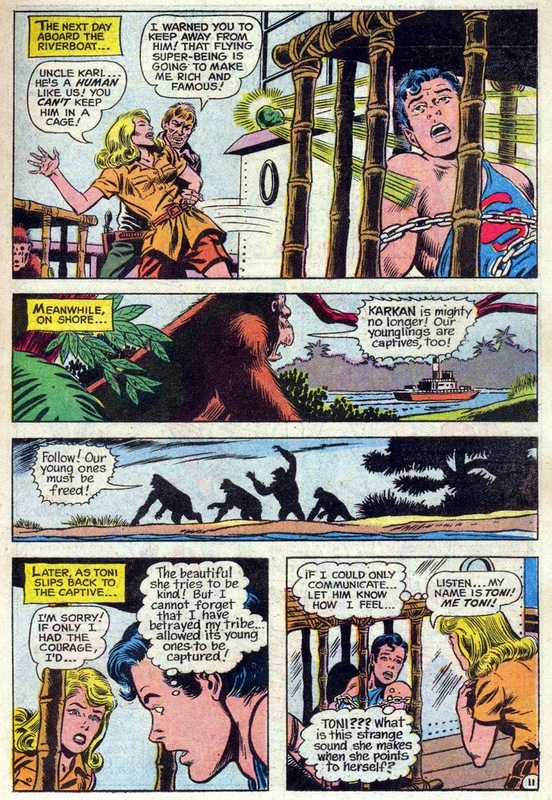 You're not clinically insane. 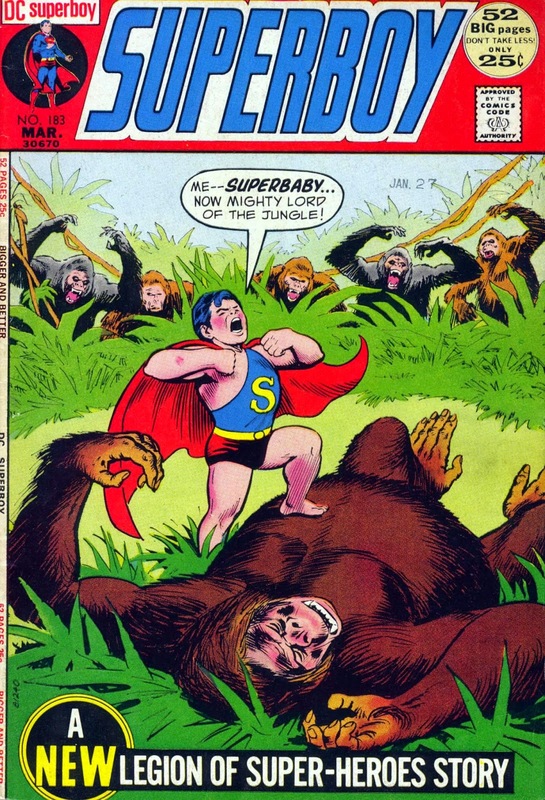 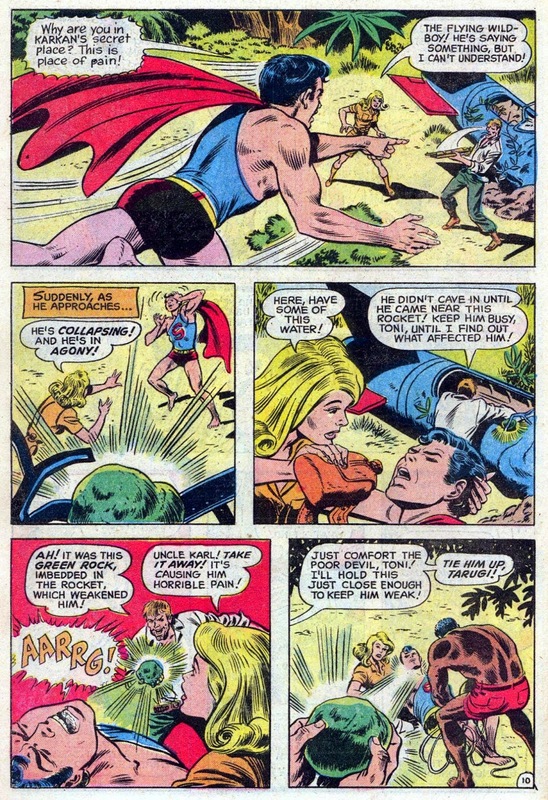 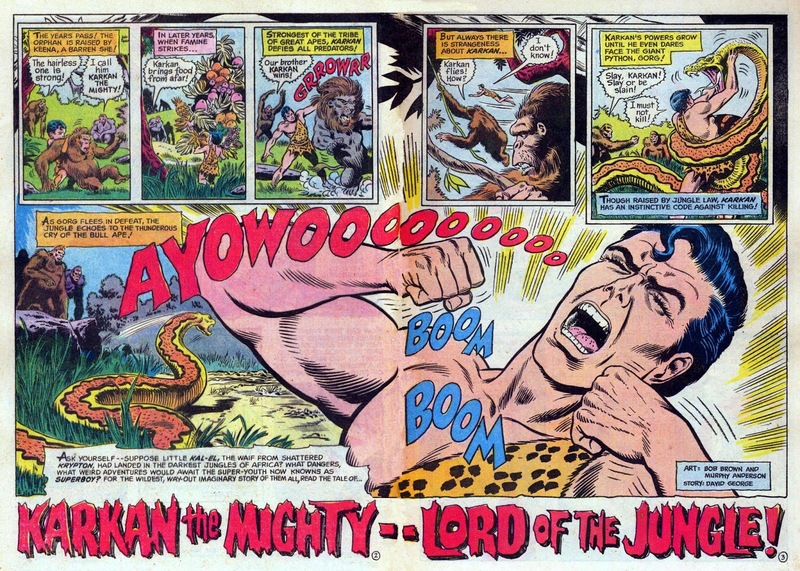 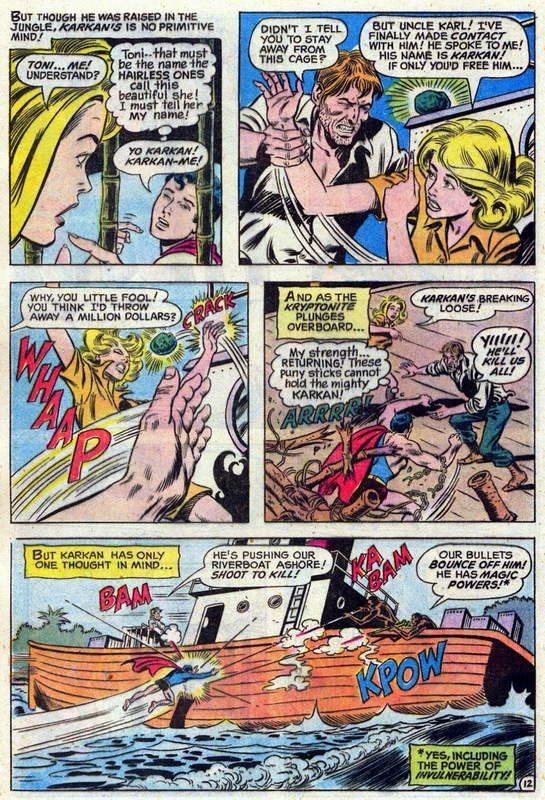 This issue of Superboy suggests we're going to get another wearisome Superbaby story, all 'Me have fun... oops, me broke Empire State Building', but no, this is indeed an imaginary tale of how 'Karkan The Mighty' came to be. 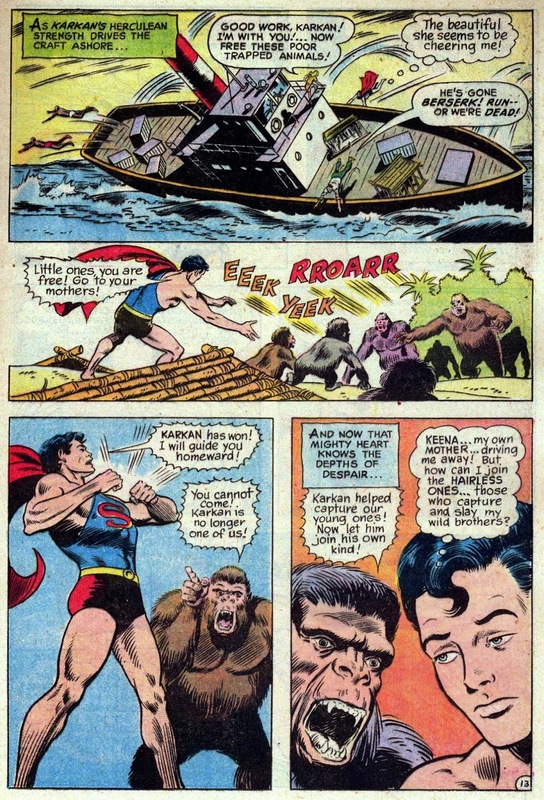 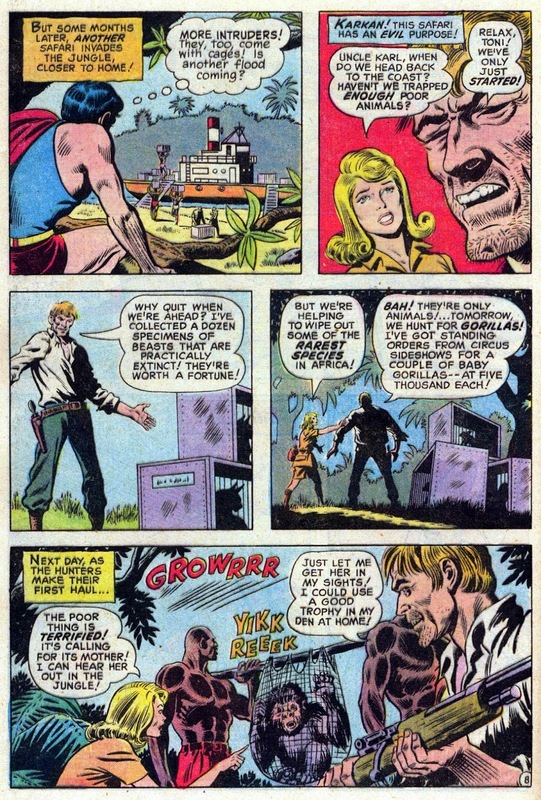 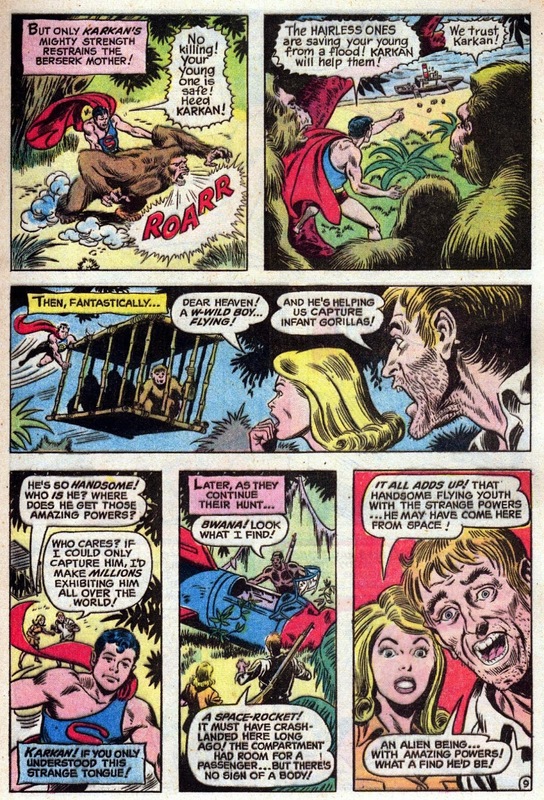 It's by regular Supes writer Leo Dorfman ( calling himself 'David George' for some reason ) and the wonderful art team of Bob Brown & Murphy Anderson, and is more fun than, well, a barrel of monkeys.